Love Alive - The Ultimate HEART Tribute available for Corporate Events, clubs, fundraisers and parties. 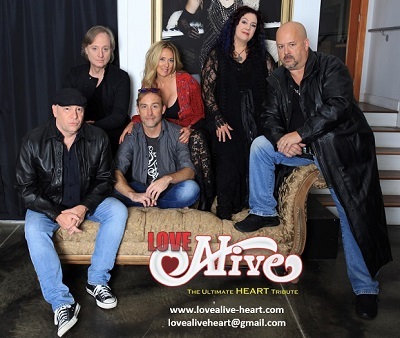 Each member of LOVE ALIVE is a veteran musician that brings their talent, skill and knowledge of their particular instrument to LOVE ALIVE to recreate the look, sound and excitement of the band HEART. ​ To sit and close your eyes at a LOVE ALIVE show - you will think you're traveling back to the 70's, 80's and 90's when HEART ruled the airwaves with their own, unique brand of rock & roll - you will believe you are there! ​ There is no mistaking that LOVE ALIVE is the #1 tribute to the music, look and sound of the band HEART.